I have been tying these up for myself for years. 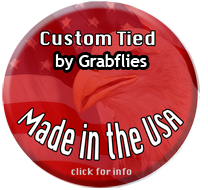 Now these custom made fly line tip to leader tippet swivel connectors are available to everyone. Eliminate twists and fly tangles when you Spey cast, and swing flies. 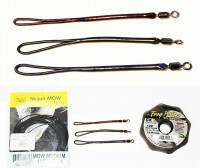 Make it easy to tie on tippets - just tie tippet onto swivel using improved clinch knot. Also works great for single fly rods - eliminates line twist when fishing buggers. "In my opinion this is a must have accessory! 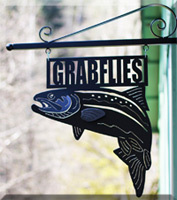 - Jeff Layton"
Recommended when using Moal Leeches and Intruders, or any fly .